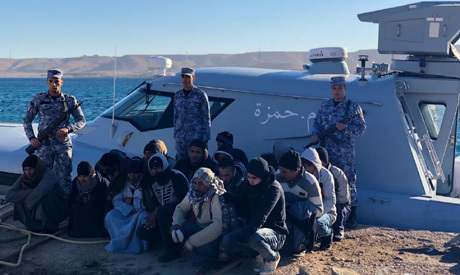 Egypt's navy said on Tuesday that it has thwarted an illegal migration attempt by 29 people near the Egyptian-Libyan border crossing of Salloum, a statement by Egypt's Armed Forces spokesperson Tamer El-Refai read. "A rapid naval unit was dispatched to catch a ship that carried 29 individuals of different nationalities attempting illegal migration," the statement said. The spokesperson said that security forces had discovered a speedboat coming from the Libyan side carrying a number of individuals. "The naval forces carried out their tasks in securing and protecting the Egyptian maritime borders," the statement said, adding that all the individuals were taken to the Salloum Marina to face legal action. Cairo has increasingly focused on the migration issue in recent years, working with European nations to tackle the problem.